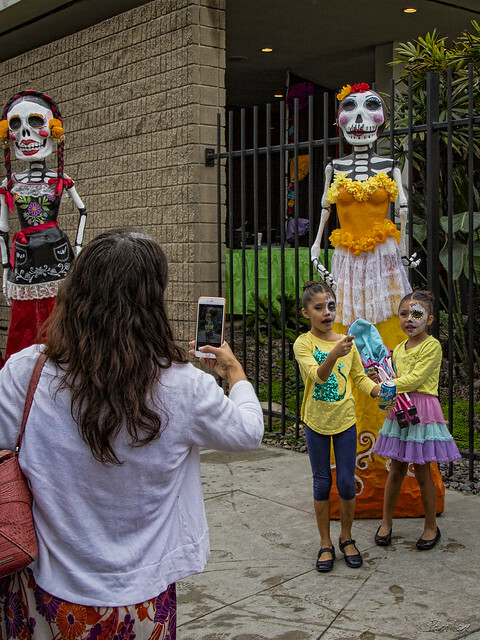 This year's 4th Annual Downey Dia de los Muertos Art Festival was bigger and better than ever! Not even a few showers slowed things down. The first thing I noticed was all of the activities available for kids. 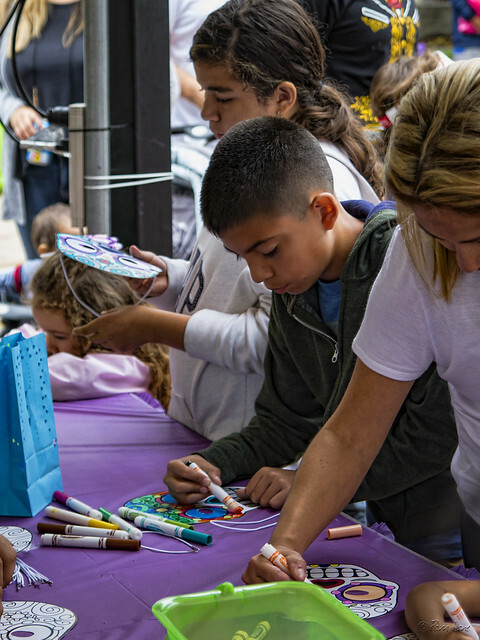 Kids were everywhere, and having a great time. 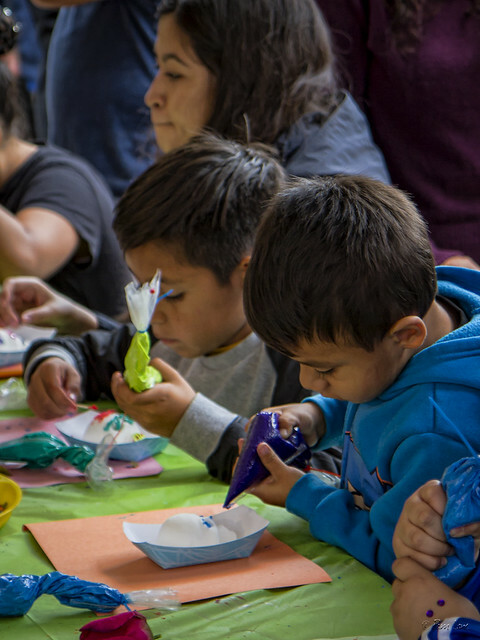 Children were drawing, decorating sugar skulls, and having fun posing with the Catrina figures and other folk art in the Urban Art Alley.